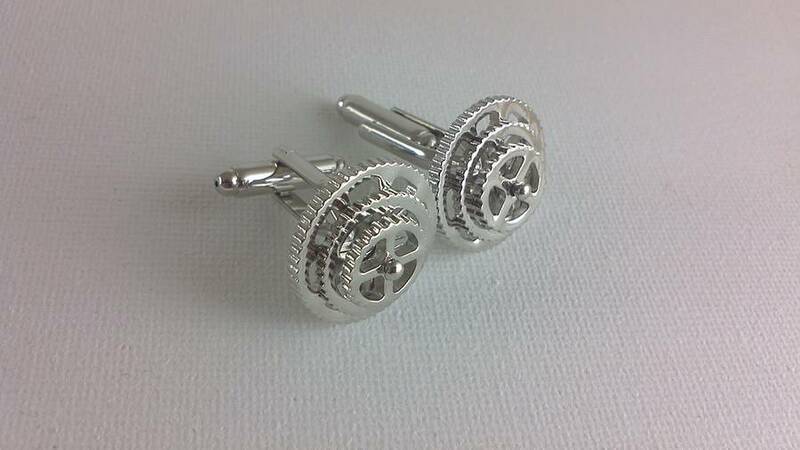 A wonderful gift set for the cyclist in your life, and £30 saving on buying the 2 items separately! 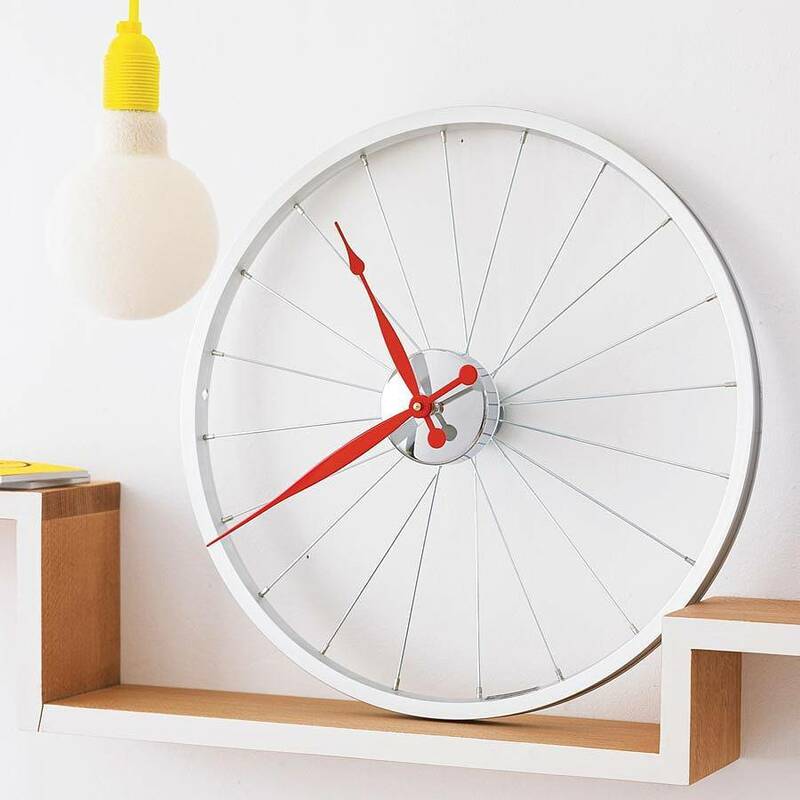 This is a reconditioned and re-engineered bicycle wheel transformed into a wonderful wall clock which mounts directly to the wall through the centre of the wheel. This truly is a unique gift and becomes the centre of attention in any room it is hung in and a The perfect representation of the sprocket / chainset of a bicycle in a cufflink set, the chainrings even spin on their axis. 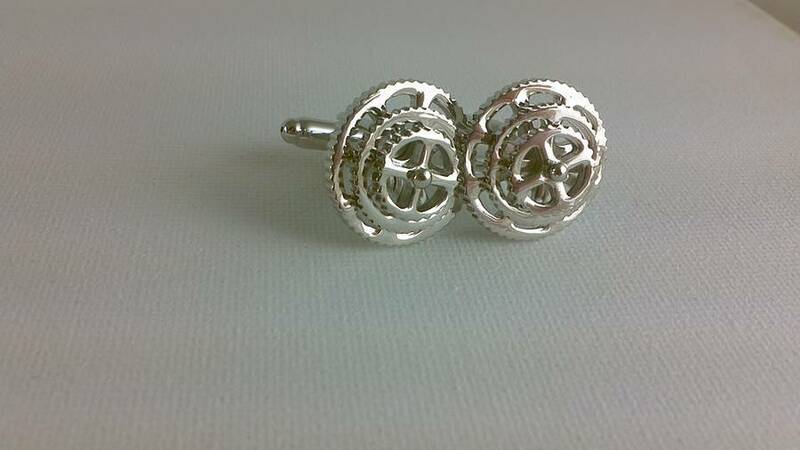 What better gift for the avid cyclist ! 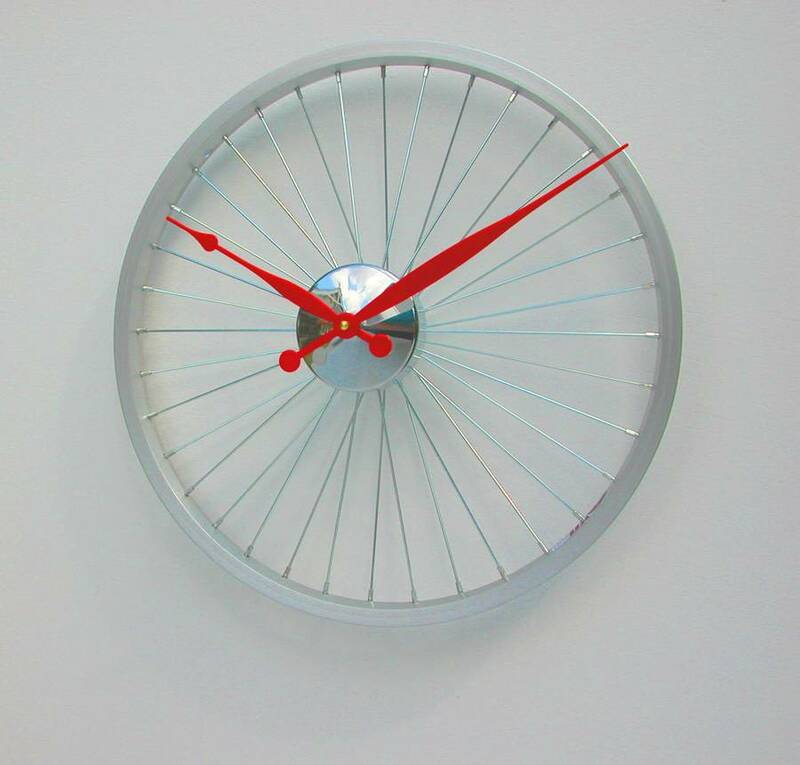 This clock can be finished with red or black hands. The wheel is brushed aluminium finish with a bright chrome hub that reflects the spokes beautifully. 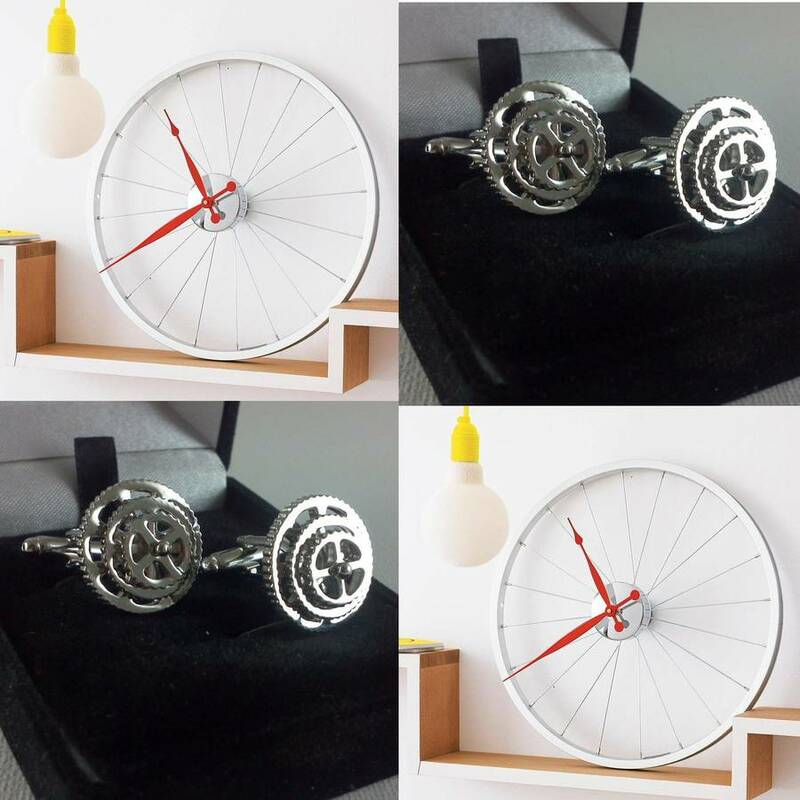 Aluminium bike wheel, Quartz clock mechanism, chrome hub. Srainless steel.